Why is MY food blog not on your list? If you’re a true food blog and you’re not on the list, we don’t know who you are, it’s that simple. Click the suggest a site link in the navigation bar above and tell us all about you. We’ll review it and if you’re an American food blogger, we’d love to have you on our list. If you’re a gardening blog with some recipes or a fashion blog with some recipes or a homestyle/lifestyle blog with some recipes, you won’t be included in this list. 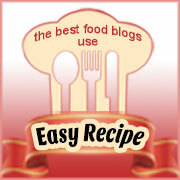 This is for blogs where cooking, recipes and restaurant reviews are the main focus. We’ll have a new list of top homestyle bloggers online very soon and we’d love to have you on there. We list most recent posts and to see how to clean your gutters, how to curl your daughter’s hair or how to get a spot off the couch just doesn’t seem appropriate for a food blog.